It seems that Assassin's Creed game series will never stop being popular. 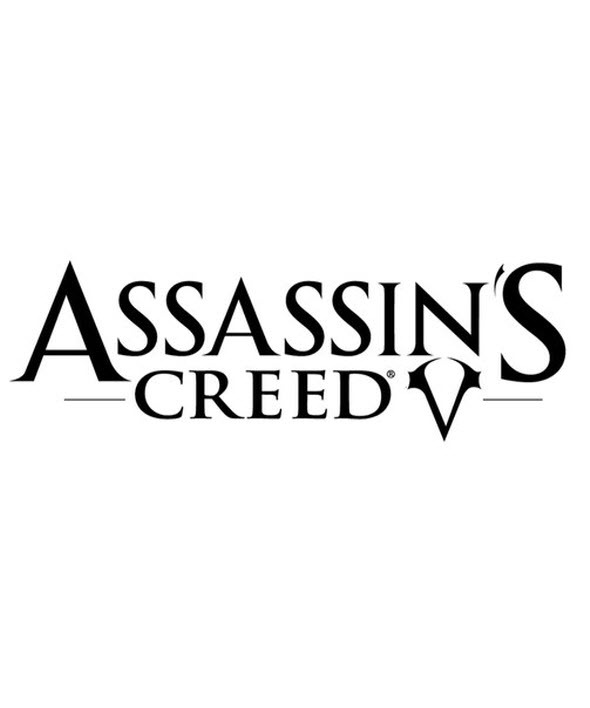 Just a couple of days ago we reported the alleged name of the next instalment in the franchise and denied the rumors about Japan as a place of its setting, and today we are ready to tell a lot of the latest news and rumors about Assassin's Creed V game. Thus, yesterday the alleged press release of Assassin's Creed 5 game appeared in the network. It revealed a lot of very interesting information about the upcoming project. 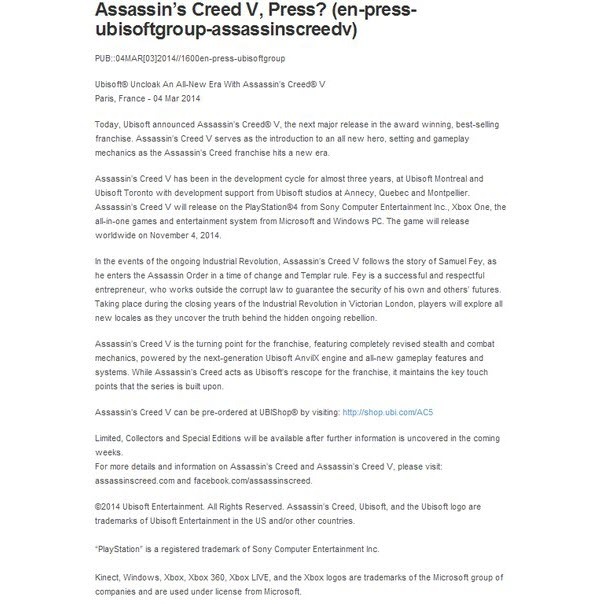 So, according to this document, Assassin's Creed V game has been created by almost all Ubisoft’s studios for three years, and it will be announced on the 4th of March. Assassin's Creed 5 will provide us with a completely new time and location - Victorian England (the second half of the nineteenth century) - the gameplay mechanics and the main hero. Samuel Fey - the protagonist of the upcoming game - is a successful and respected entrepreneur who joined the Assassin’s Order in a difficult time for the last ones and when the Templars ruled. In addition, the press release contains the date of the project’s launch, as well as the platforms on which it will appear. So, Assassin's Creed V game will be available already on November 4, 2014 on Xbox One, PS4 and PC. Also this document says that the project will get the Collector’s and Special editions, the content and the release dates of which will be revealed a bit later. We’d like to draw your attention to the fact that so far Ubisoft hasn’t commented this information, and therefore we ask you to treat these news with a grain of salt and wait for March 4, when we know exactly, whether it is true or not.